This week’s strike and picketing by the Ferris Faculty Association reminds us all what Labor Day means — so join MEA and AFT Michigan members as they come together all over Michigan on Monday in #RedForEd solidarity. 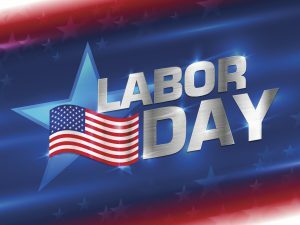 Labor Day events are planned across the state. Visit our Action Network page to find an event near you and RSVP to attend. MEA and AFT Michigan members will assemble for parades and other festivities in Detroit, Ishpeming, Muskegon, Ann Arbor, and (just added) Grand Rapids. Let’s demonstrate our unity and celebrate labor rights — Sign up to attend an event today! I grew up in unions. I remember being able to go to a doctor’s appointment because my father’s UAW had gotten us,something called health insurance. At seventeen, going to a dentist to have a mass amount of dental work because we now had AETNA dental insurance. I today have these benefits at my job. I want to thank the unions for these benefits. We must remember what this DAY- LABOR DAY means HONORING WORKERS, and the IMPORTANCE of WHATEVER workers do!